Meet your Event Maker! Event Makers DMC is a leading Destination Management Company in Greece. 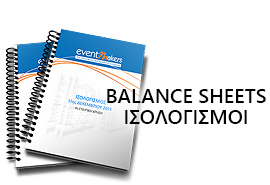 Event Makers DMC is a leading Destination Management Company in Greece. Event makers DMC provides tailor-made destination management services from accommodation, transportation, venues and catering, to social programmes, activities, entertainment, logistics and events management - in a wide range of destination management fields: incentives, events, meetings, conferences, all over Greece. We know our destinations inside out and this allows us to consistently create novel ideas which will inspire even the most discerning traveler in Greece. Event planning, designing, developing creative strategy, and implementing your event with Event Makers DMC assures great success and value for money experience. Event Makers DMC is a team recognized by their warm personalized service and passion for their locale and always willing to go the extra mile for their clients. Event Makers DMC was established in 2004 by industry Professionals. A common vision of Top Executives in the field of Meetings, Conferences and Incentives in Greece, led them to form a customer-oriented Company that understands / incorporates the needs of our demanding Market. Although, a fairly new Company, Event Makers DMC managed to achieve within a short period of time, recognition and loyalty and as a result developed a portfolio of many important Events in Greece. All of them were delivered with Great Success. Towards the end of 2009, the DMC Division of the Company became independent and Event Makers DMC Ltd. was established. The Headquarters of Event Makers DMC are located in Athens. Associated Offices in the major Greek Islands (Crete, Rhodes, Mykonos and Santorini) enable Event Makers DMC to handle Events by using them as a base where our Athens’ office Project Managers co-ordinate the operations along with the local Staff for excellent event management all over Greece. Event makers DMC, The destination management company in Greece, thinks outside the box to accomplish the wow factor and leverage your event for unqualified success. Expertise, Creativity, Reliability, Efficiency and Passion for Perfectionism are the key assets of Event Makers DMC. Senior level client focused, dedicated, highly skilled and motivated staff operate your Events in Greece behind-and-on-the-scene with service excellence delivering authentic, highly creative destination experiences and state of the art Events. You can expect carefully designed recommendations for your incentive, meeting or conference, always incorporated to your feedback. Event Makers DMC designs unique solutions to exceed expectations by understanding client’s corporate culture and how success is defined for them. Event Makers DMC works hard to maintain great working relationships with the market leaders in their area of expertise, all over Greece. Negotiating attractive rates for your event and operating every program through out from A to Z. All Event Makers DMC approved vendor partners: hotels, venues, restaurants, transportation, entertainers and caterers throughout Greece, meet Health & Safety as well as Risk Assessment policies of our company to make sure that Event Makers DMC clients receive the highest level of service and attention. Event Makers DMC strives to be the premier event & destination management provider within the territory of Greece to the World’s MICE industry by combining expertise and innovation, contributing to the growth and sustainability of the tourist sector. Our aim is to create personalized destination experiences that speak specifically to our clients’ goals and corporate cultures. Our philosophy lies upon deep and sincere respect for other countries and cultures, for our business partners as well as our own employees. Yes. We are GDPR Compliant! 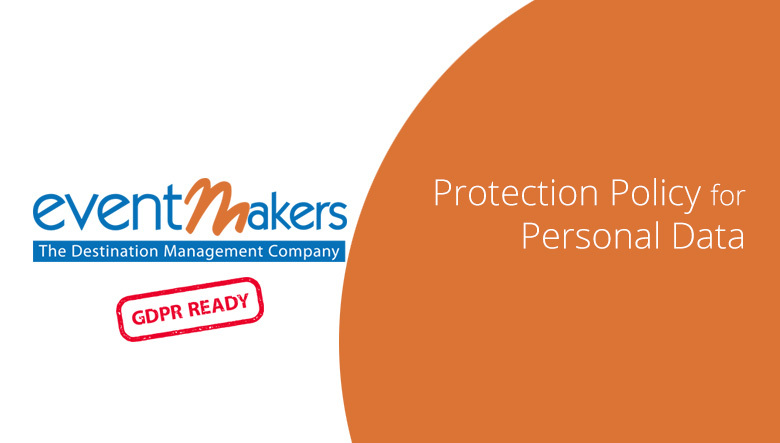 Read our Company Protection policy for personal data use.